Something new for you in April! 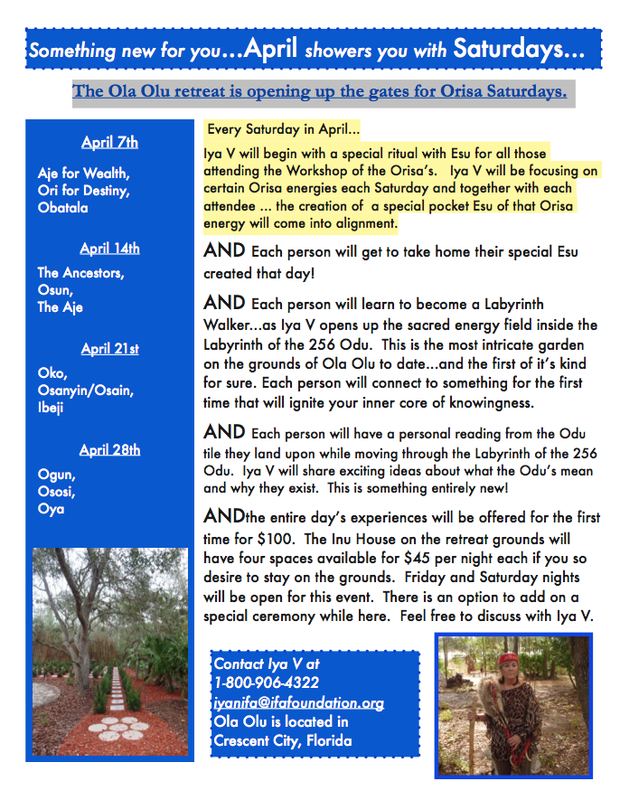 The Ifa College presents Orisha Saturday's through the entire month of April. Choose your Saturday from the drop down menu above.